GBP has been supported by the result of Brexit negotiations which this helped GBP against the strong USD. 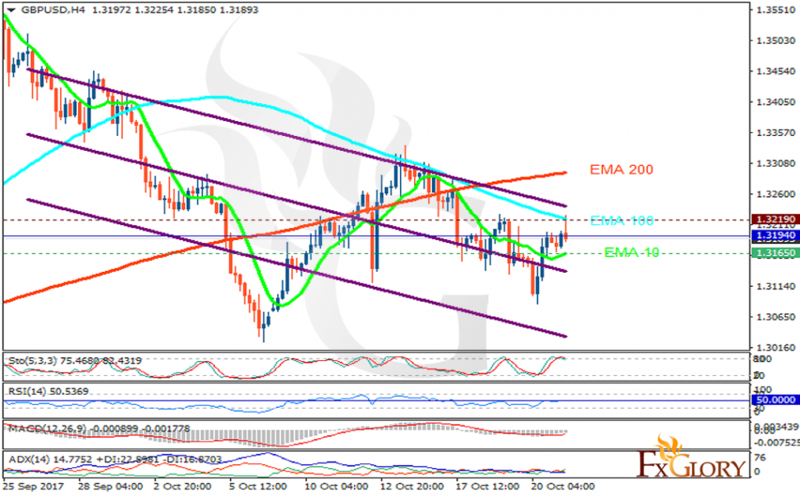 The support rests at 1.31650 with resistance at 1.32190 which the weekly pivot point at 1.31940 is located in between the lines. The EMA of 10 is moving with bearish bias along the descendant channel and it is below the EMA of 200 and the EMA of 100. The RSI is moving on the 50 level, the Stochastic is moving in high ranges and MACD indicator is in negative territory. The ADX is showing weak buy signals.